Proposition 3 would issue $8.9 billion in general obligation bonds in order to pay for water-related infrastructure and projects. As a general matter, we need to be investing in our water infrastructure and related environmental projects. Many of the goals and programs of Prop 3 are important, especially a half billion dollars for projects that improve drinking water in disadvantaged communities. 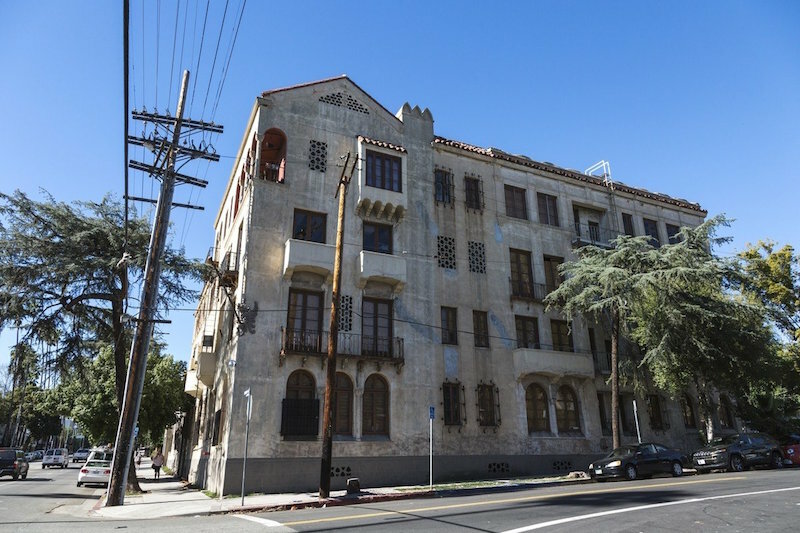 It’s not surprising that all the government agencies and nonprofit land trusts that would get funding from this initiative support it, as well as some groups representing disadvantaged communities. But the credible concerns voiced by trusted environmental groups like the Sierra Club and good government organizations like the League of Women Voters lead us to oppose it. Prop 3 is not the right answer to our water problems and deserves a NO vote. Prop 3 has the potential to harm the environment. Its designers rebuffed environmentalists’ requests to prevent any money from being used to build or expand dams, which can hurt wildlife habitats and forest ecosystems. Plus, it moves all the money in the Habit Conservation Fund to water acquisition after 2020. It may also undermine California’s fight against global warming. It moves money from the Greenhouse Gas Reduction Fund to State Water Project and Central Valley Project water agencies. Instead of funding these water agencies to do new projects, it may simply allow them to fund existing projects that currently are funded from other sources, meaning that there won’t be much, if any, decrease in greenhouse gas emissions. The reason Prop 3 is poorly constructed is because it didn’t go through the legislature and governor’s office like most water bonds do. Instead, it was hammered out in backroom deals and extra incentives were included for the wealthy business interests who had money to finance the campaign to get it on the ballot and pass it. The $4 billion water bond that was on the June 5th ballot and was approved overwhelmingly by voters went through this deliberative, legislative process. Despite this recent bond, in this age of climate disruption, we still need more funding for water infrastructure and conversation. But Prop 3 is not the right way to do it. LA Forward recommend voters vote NO and ask their legislators to craft a better bond measure for approval in 2020. 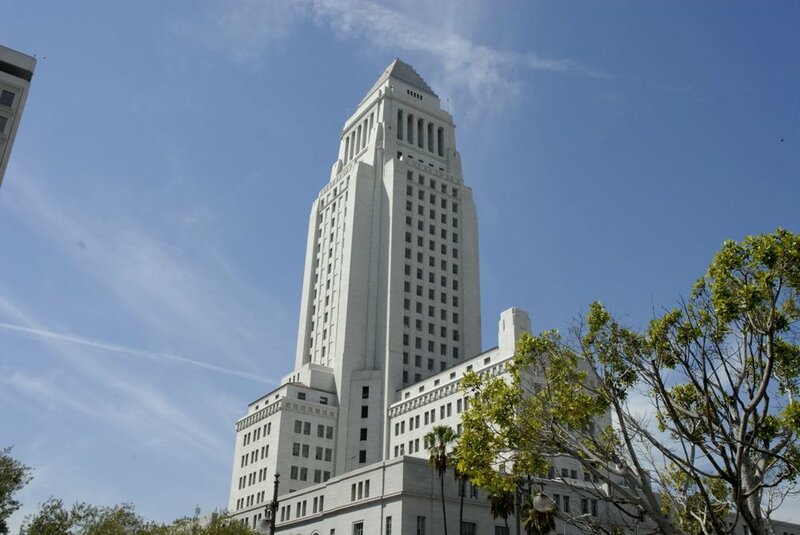 LA City Measure B would enable Los Angeles to start a City-owned bank, although it would not mandate its establishment. Currently the City Charter (like the U.S. Constitution but for our city) prohibits the creation of commercial enterprises without voter approval. This initiative allows the city government to begin exploring what it would like to establish a municipal bank, how it might be designed, and ultimately whether it makes sense. Government-owned banks are not as new as you might think. In 1919, the State of North Dakota created a public bank; it’s operated successfully for the last century, surviving every financial catastrophe since its establishment and having revenues that exceed expenses every single year since 2004, despite the Great Recession. As one reporter put, “it supports the most vibrant community bank network in the country, with more branches and higher lending totals per capita than any other state.” During the 2008 financial crisis, not a single bank in the state failed. interests at heart and aren’t investing in our communities. The $100 million currently paid in fees could do a lot of good if we kept it local. Administrative costs would likely be much lower than the $100 million cost of fees, which are inflated by banks’ interest in making a profit. With our own bank, we could invest in projects that align with our values, while staying away from bad actors, like the fossil fuel industry. The money sitting in the accounts could be invested in projects for housing and infrastructure that could earn a profit and help the community, as well as worthwhile projects around the world. Indeed, Measure B got its start from the work of activists to get the City to divest from any banks that were investing in the Dakota Access Pipeline. When they succeeded in getting the city to remove its funds from Wells Fargo, they realized that banking alternatives were limited. Credit unions and small community banks were not equipped to deal with government funds. That meant the only place to put the city’s deposits was another Wall Street giant, likely not much better than Wells Fargo and likely still invested in fossil fuels and other destructive projects. That’s why the folks from the DivestLA coalition have been at the forefront of the Public Bank LA campaign. While people can argue about the ethics and wisdom of any particular investment, a municipal bank would certainly give us more control and options for where to invest our tax dollars, including the option to keep them here at home where they can be lent to support local businesses and infrastructure project. Sounds like a great option for our City to have, right? Alliance (KIWA), LA Voice, Los Angeles Alliance for a New Economy (LAANE), Little Tokyo Service Center, Strategic Actions for a Just Economy (SAJE), Thai Community Development Center, and Trust for Public Land. Environmental groups like Climate Hawks Vote, SoCal 350, and Fossil Free California. Los Angeles County Democratic Party and Democratic Clubs of North Valley, Pacific Palisades, San Pedro, Pasadena Foothills, and San Fernando Valley. Water is hot these days. Blame global warming. We’ve voted on several ballot props recently about water, including Prop 3 discussed in this guide. Measure W has a unique contribution to make. It would fund projects to grow our local water supply and keep it safe and clean by imposing a small tax on the square footage of a property owner’s land which is impermeable, i.e. paved driveways and concrete patios that storm water can’t seep through. It’s no secret that California faces a growing water crisis. Climate change is decreasing the average annual amount of precipitation California receives while creating huge swings in precipitation from one year to the next and altering its geographic distribution. Los Angeles, for example, can expect to receive less water from the Sierras’ melting snow- pack, but the amount of rain locally is projected to remain the same. The bad news is that almost none of that rain is currently captured for use. Instead, 90% of it flows into the ocean via street sewer drains and concrete-lined river channels. That’s more than 100 billion gallons of storm water annually, which brings with it 4,200 tons of trash and pol- lutants. This is not acceptable. By imposing a tax of 2.5 cents each year for every square foot of impermeable land, Los Angeles County will incentivize the use of permeable materials on residential and commercial prosperity, including both artificial materials and organic solutions like mulch and plant-based covering. Even more important, the tax would raise approximately $300 million, which the County and all of our local cities will spend on infrastructure to capture, clean, and store stormwater. It is projected to double the amount of water that’s captured from local precipitation, reducing our dependence on imports from Northern California, the Eastern Sierras, and the distant Colorado River. Cities can make their sidewalks and other hard surfaces out of permeable materials rather than concrete. It’s also possible to add “bioswales” by the side of roads – dips in the ground where shrubs, trees, and grass are planted so storm water flows into the ground after being filtered by the vegetation, and winds up in underground aquifers. This measure also presents an opportunity to bring more green space and trees to poorer parts of the county that have lacked these vital amenities. Side effects of implementing bioswales will improve air quality and mitigate extreme heat. There’s also a new legal reality that requires us to support Measure W. California’s legislature now requires cities and counties to bear the cost of complying with the federal Clean Water Act. Existing funding sources only cover sewers, drinking water, and flood control. 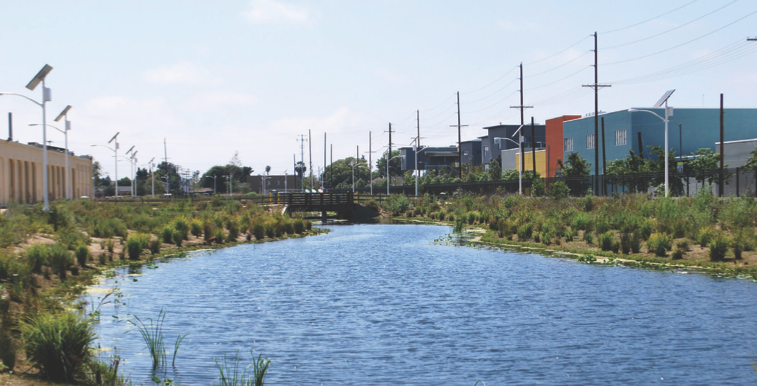 Capturing storm water is the missing piece of the puzzle and it’s legally necessary. 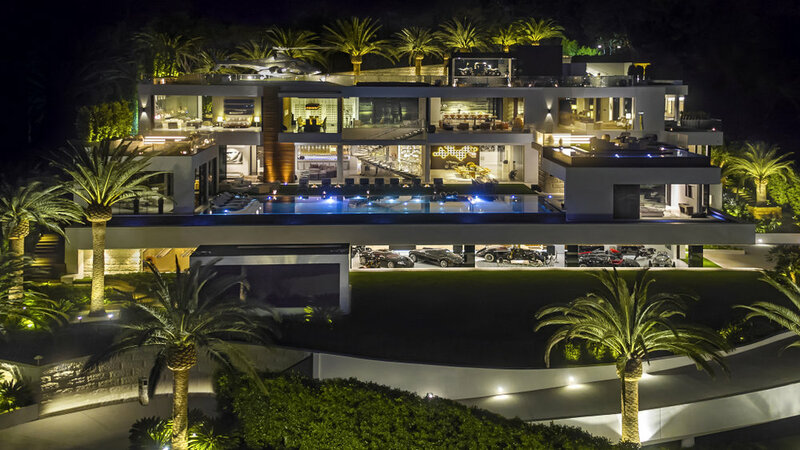 With a cost of 2.5 cents per square foot, officials estimate that the tax for a median property (7,500-square-foot lot and 2,100-square-foot house) would be approximately $83 a year. Properties owned by nonprofits and governments are ex- empt. Low-income seniors can apply for an exemption, and the County Board of Supervisors has the option to include exemption for low-income homeowners going forward. Property owners can reduce their tax liability by showing they have less hard surfaces than assessed by the County or if they’ve created infrastructure to reuse rainwater on site. There is widespread support for this measure among environmentalists, social justice groups, and unions. While the LA Chamber of Commerce is formally neutral on the measure, there is organized opposition from some parts of the business and real estate sector. Our region can’t survive and thrive without capturing and storing more of the rain we receive locally. 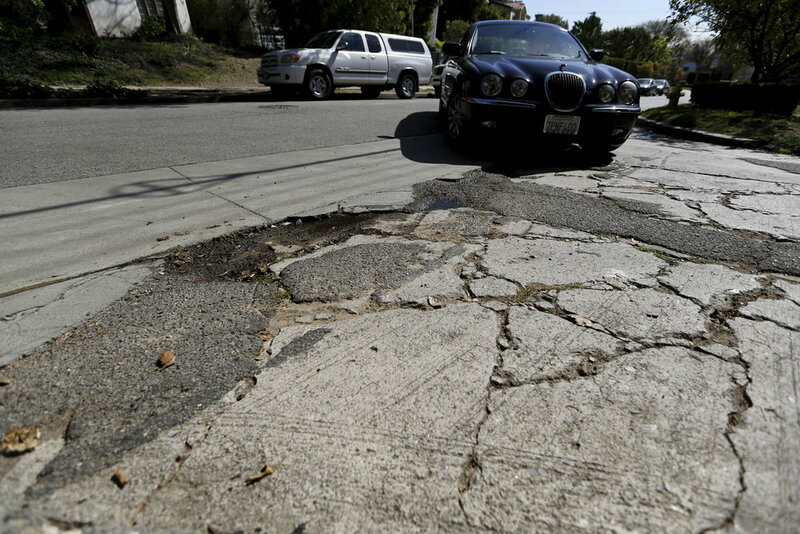 Investments in this infrastructure have to be paid somehow, and we think it makes sense to pay for it by taxing the source of the problem—impermeable surfaces. 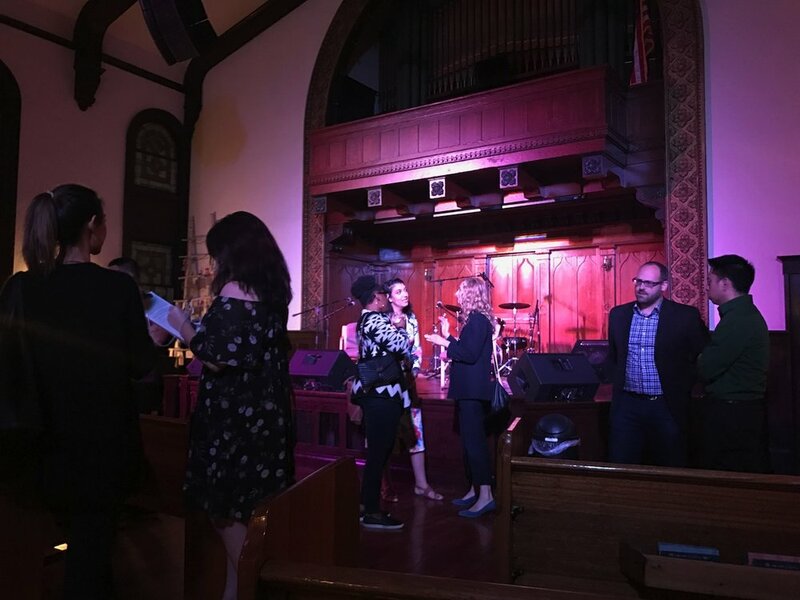 LA Forward strongly recommends a YES vote on LA County Measure W.
Better Environment, Friends of the Los Angeles River, Heal the Bay, Koreatown Youth and Community Center (KYCC), LA League of Conservation Voters, LA Waterkeeper, Los Cerritos Wetlands Land Trust, Mujeres de la Tierra, Nature for All, NRDC, Pacoima Beautiful, The Nature Conservancy, Natural Resources Defense Council (NRDC), Surfrider Foundation LA Chapter, 350.org, TreePeople, & Trust for Public Land. Social justice groups Los Angeles Alliance for a New Economy, Housing Long Beach, Long Beach Grey Panthers, ACT-LA, Investing in Place, and Los Angeles Food Policy Council. Business groups like the Central City Association. Political groups like the Los Angeles County Democratic Party. Check this out — a special episode of LA Forwards & Backwards, recorded live at the SIJCC and features our first ever panel discussion. We bring together leaders from four of California's leading immigrant rights organizations to discuss how to effectively fight back the Trump administration's attack on immigrant communities — through sanctuary policy campaigns, political organizing, lawsuits, legal representation for individuals, guerrilla post-it-noting, and more. Damn it. Let's do something about it. Every day when I read the news, I get angry and upset. The last few weeks have been especially heartbreaking and infuriating. Join in as we gather on Sunday, July 22 to learn about the housing crisis and kickstart our campaign to Get Out The Vote for the November elections! Looking to get involved with LA's most pressing issues? Want to fight like hell to win some elections in November? Join us for a meeting we'll focus on housing issues, with a deep dive into how the housing system works (and doesn't) and discuss one of this November's most important ballot initiatives — Prop 10 which would repeal the "Costa-Hawkins" restrictions that limit cities' abilities to enact strong rent control. Then we'll further develop plans for voter registration, education, and mobilization and start phone-banking and meme-making to make it happen. We're re-starting our monthly meetings with a new format. To keep it easy to remember and put on your calendar in advance, they will always be every Second Sunday of the month from 3:00 to 5:00 PM. August 12, September 9, October 14, November 11, December 9, etc. You get the idea. Super busy with young kids or even just a demanding job BUT know you need to get involved with the elections? We'll cover the basics of phone-banking and canvassing, plus tips for making time to do it all from experienced campaigners and trainers. Hosted with the Silverlake Independent JCC. More details soon. Hang out with us at on Abbot Kinney and learn about California's water issues and solutions from some of your favorite young experts and elected officials. The 12th and final episode of Season One of LA Forwards & Backwards is here! 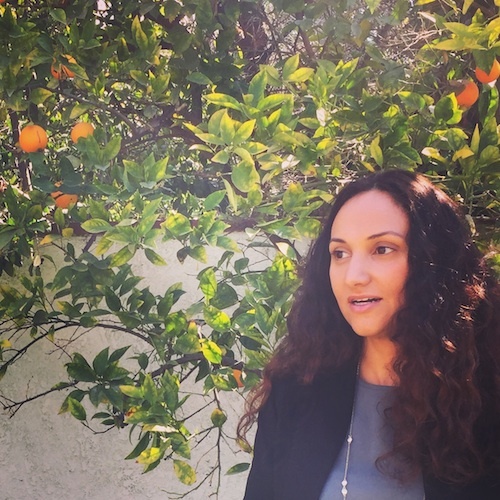 Rabeya Sen of Esperanza Community Housing joins us for a wide-ranging conversation about the connections between issues as diverse as domestic violence, immigration enforcement, the criminal justice system, and urban displacement and gentrification. The 11th episode of the LA Forwards & Backwards podcast has arrived! 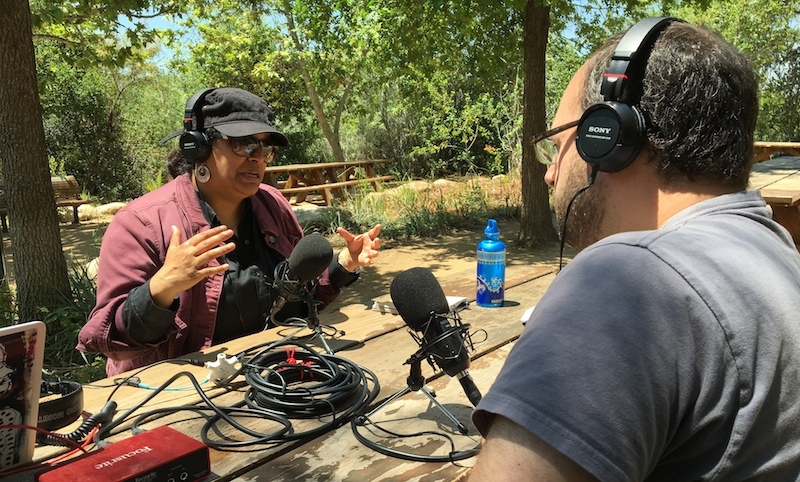 Martha Dina Argüello talks with us about the STAND-LA coalition’s work to phase out the silent but deadly oil drilling that still exists near homes, schools, and hospitals across Los Angeles. Martha shares her story and highlights the need to push for a just transition where disadvantaged communities and workers all benefit from the move from fossil fuels to clean energy. Our Live Podcast with Homeboy Recycling is Now Available! Get ready -- we're offering a bunch of new episodes this month! 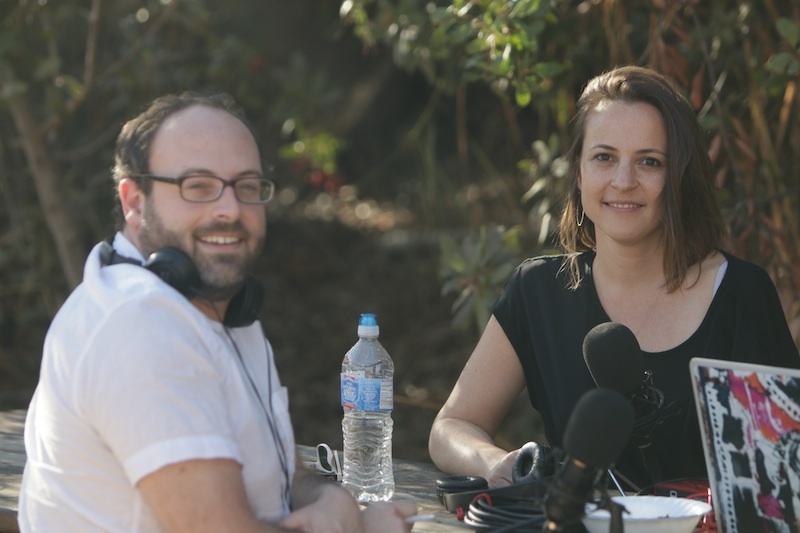 Kabira Stokes of Homeboy Electronics Recycling joins the podcast for our first live show which took place at the beautiful, historic Pico Union Project building. Kabira shares the fascinating story of she came to establish and lead a social enterprise that employs formerly incarcerated folks, boosting the local economy, and fighting both toxic pollution and climate change in the process. 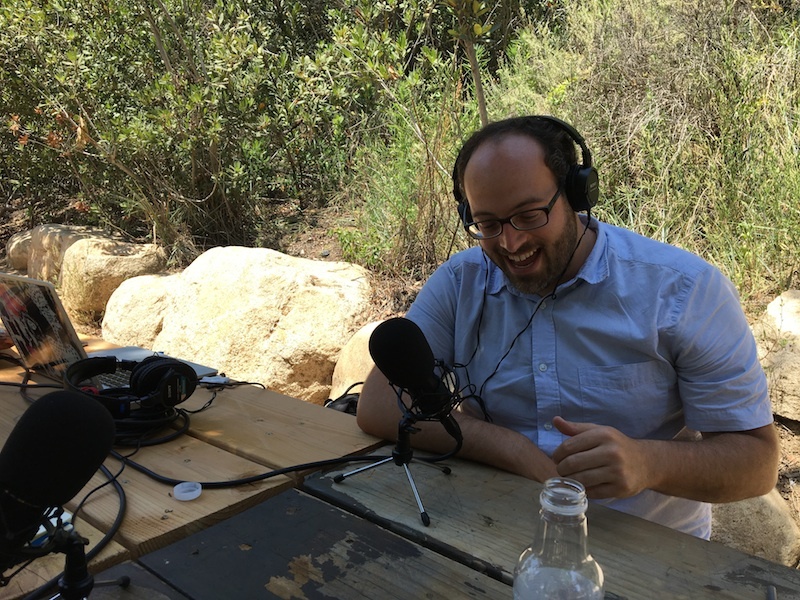 It's raining podcasts -- check out the 3rd LA Forwards & Backwards episode of the month! 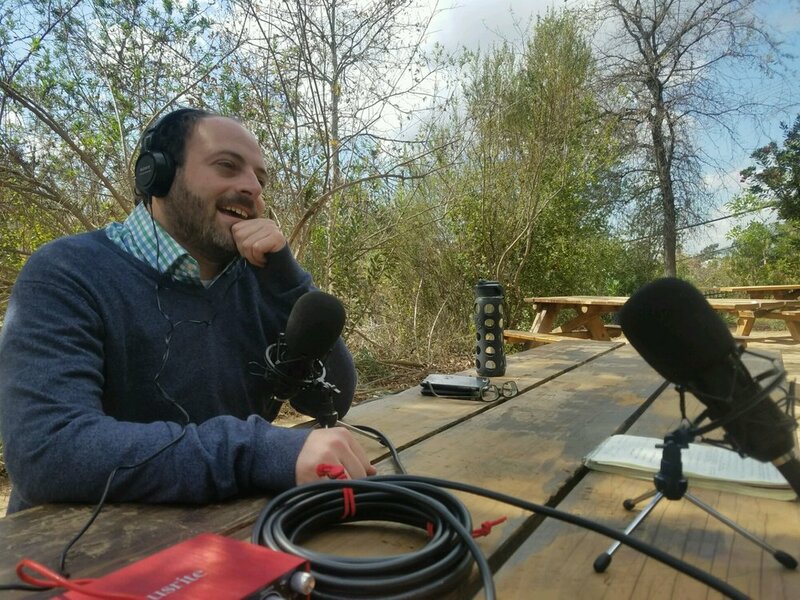 Julio Marcial of the Liberty Hill Foundation talks with us about LHF's work to transform the youth justice system so it focuses on investing in young people, intervening with community-based solutions, and shutting down youth prisons. We discuss how youth of color are overpoliced and overincarcerated and survey the incredible work of grassroots organizations across LA County that have already cut youth incarceration in half. 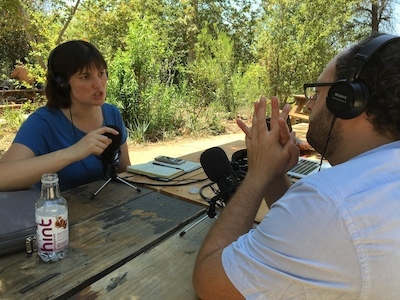 Maya Paley of NCJW-LA joins the show to discuss the fight against sexual harassment and violence beyond the headlines. 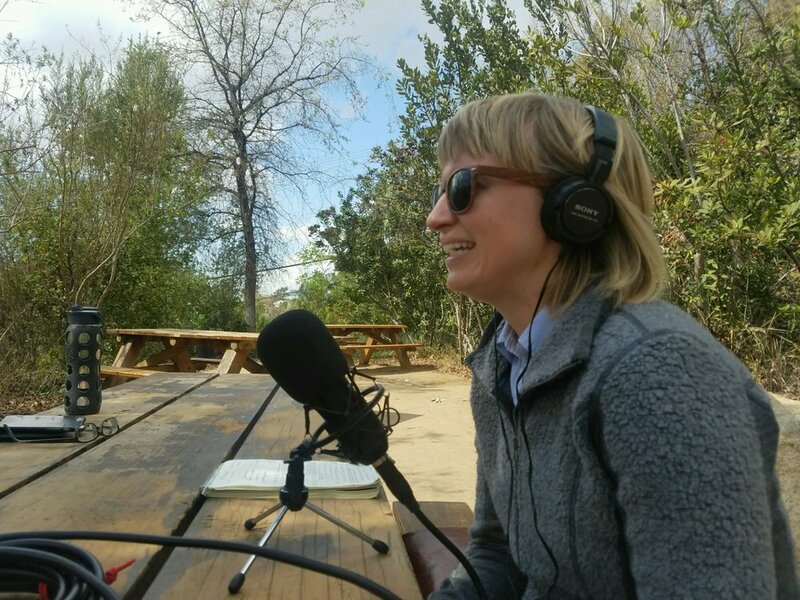 After she shares the story of her own involvement in this work, we dive into the data on the widespread nature of the problem, discuss this year's top policy priorities, and learn about NCJW-LA's "Talk" project to engage teens in peer-to-peer trainings.